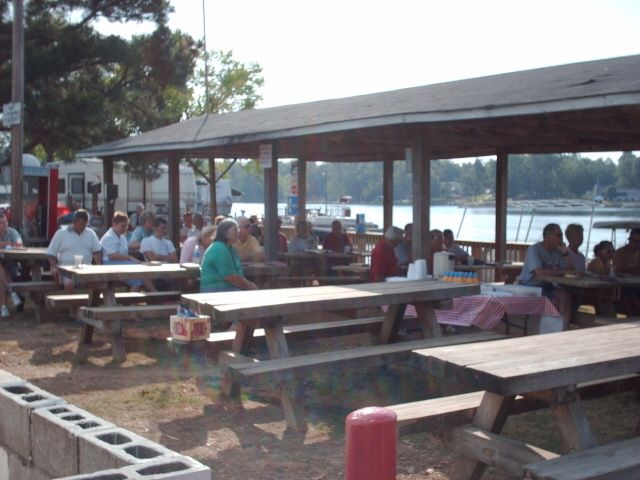 Our Church Services are held under the pavilion in front of our camp store from Memorial Day through Labor Day! These services are sponsored by Northside Baptist Church in Laurens, South Carolina. Pastor Ronnie Blackwell leads us in worship on Sundays at 8:45 AM. We gather under the pavilion a little early and enjoy coffee and fellowship with our neighbors. Come as you are and have a great time in music, song, and worship! Northside Baptist Church is located at 818 Northside Church Road in Laurens, SC 29611. You may contact the church staff by phone at 864-682-2620 or 864-682-3860. Also, you may contact someone via email at RABLACKWELL@TOOLKITMAIL.COM.